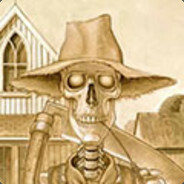 I am an atheistic member of the Christian Crew Gaming community and am former head of their TF2 division and UGC team. Feel free to contact me. Due to the ridiculous amount of scam bots, if you send me a friend invite and your steam account is level 0 and private, I will assume that you are a bot and ignore your friend request. Please post a comment on my profile about the invite if you're a real person. Also, be aware that I am being impersonated by one of these bots . If you've found your way to this profile, then congratulations, you've found the real Bill. Mhhph mh mh mhhp mh mhp mhpph mhhpp! Remember the good times FISH folks! 172.86.182.214 will always be home. ╰┓┳╰╯┳┏╯ Special Delivery... ℋappy Easter! \▓▓▓/ ℳerry ℭhristmas & A ℋappy 2019! ....................|_|______| He is Risen! He is Risen, Indeed!